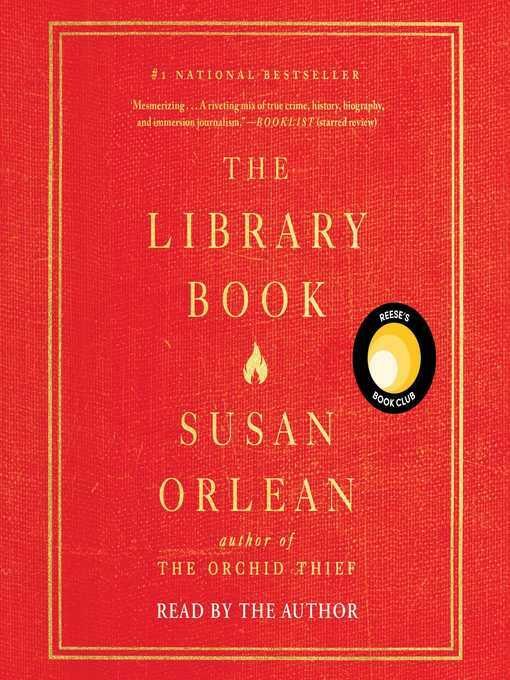 Susan Orlean's bestseller and New York Times Notable Book is "a sheer delight...as rich in insight and as varied as the treasures contained on the shelves in any local library" (USA TODAY)—a dazzling love letter to a beloved institution and an investigation into one of its greatest mysteries. "Everybody who loves books should check out The Library Book" (TheWashington Post). Weaving her lifelong love of books and reading into an investigation of the fire, award-winning New Yorker reporter and New York Times bestselling author Susan Orlean delivers a "delightful...reflection on the past, present, and future of libraries in America" (New York magazine) that manages to tell the broader story of libraries and librarians in a way that has never been done before. In the "exquisitely written, consistently entertaining" (The New York Times) The Library Book, Orlean chronicles the LAPL fire and its aftermath to showcase the larger, crucial role that libraries play in our lives; delves into the evolution of libraries; brings each department of the library to vivid life; studies arson and attempts to burn a copy of a book herself; and reexamines the case of Harry Peak, the blond-haired actor long suspected of setting fire to the LAPL more than thirty years ago. "A book lover's dream...an ambitiously researched, elegantly written book that serves as a portal into a place of history, drama, culture, and stories" (Star Tribune, Minneapolis), Susan Orlean's thrilling journey through the stacks reveals how these beloved institutions provide much more than just books—and why they remain an essential part of the heart, mind, and soul of our country.